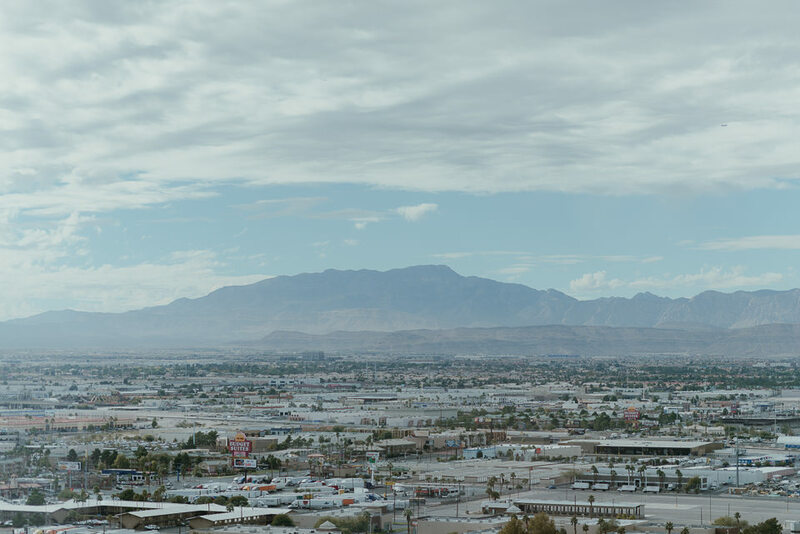 Vegas, baby. 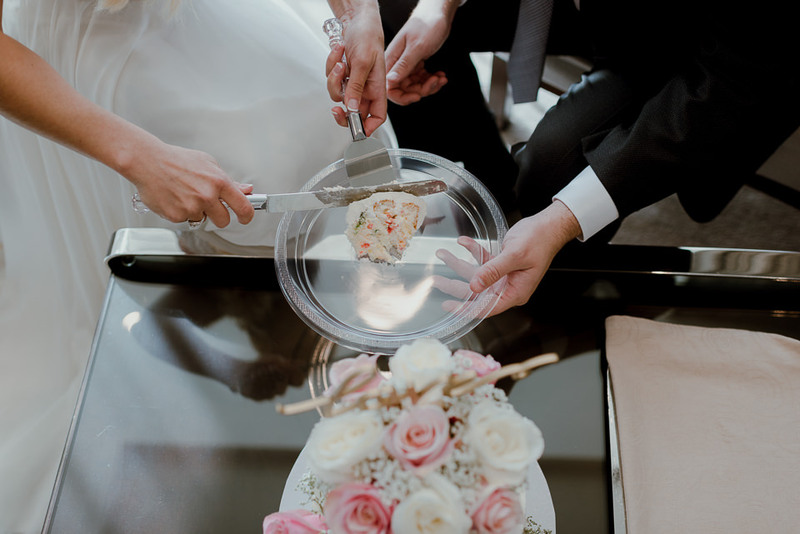 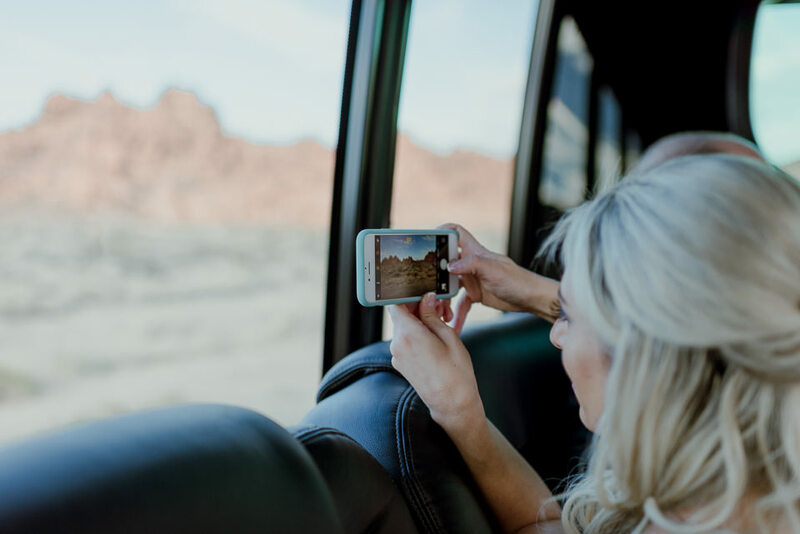 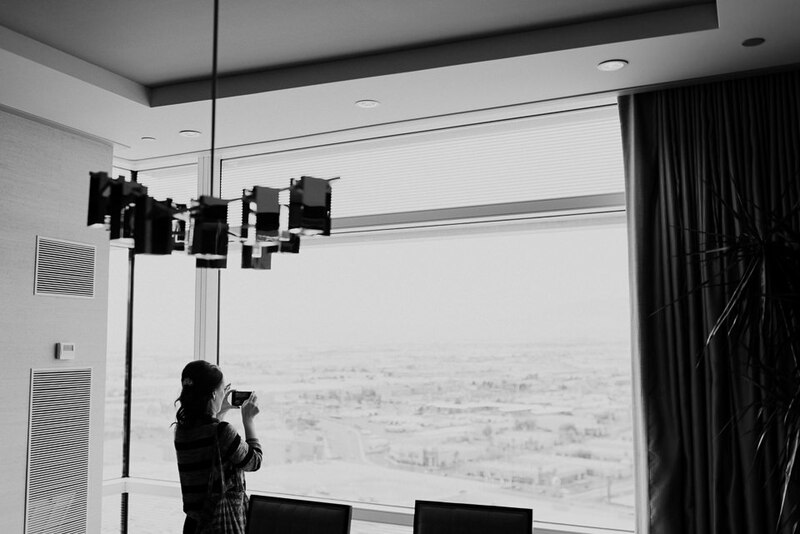 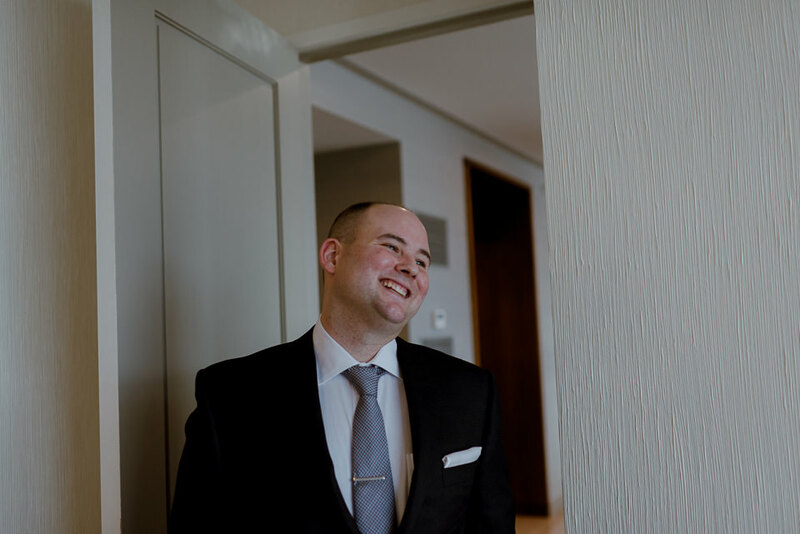 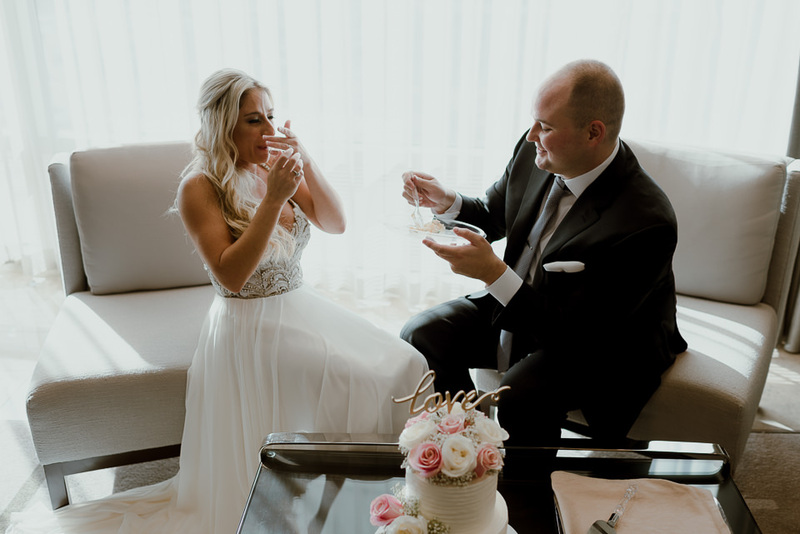 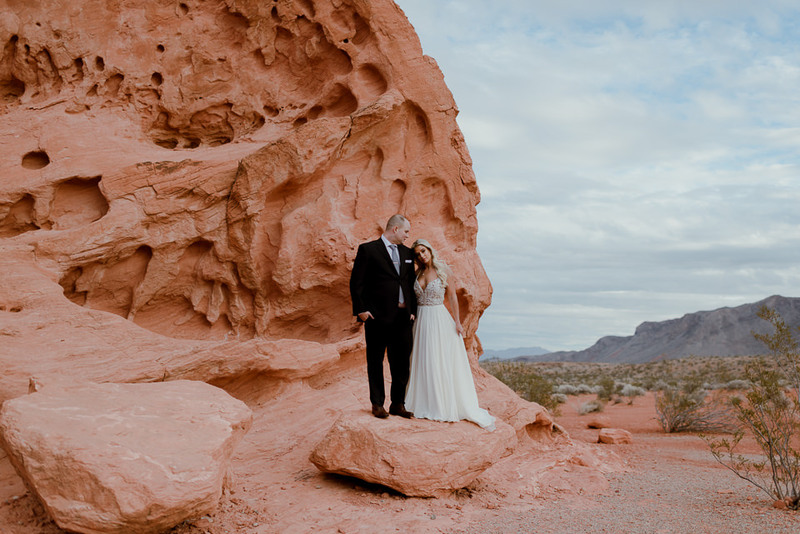 I’ve been looking forward to the opportunity of shooting a Las Vegas elopement, so when Rae & John contacted me, I knew I had to make this happen. 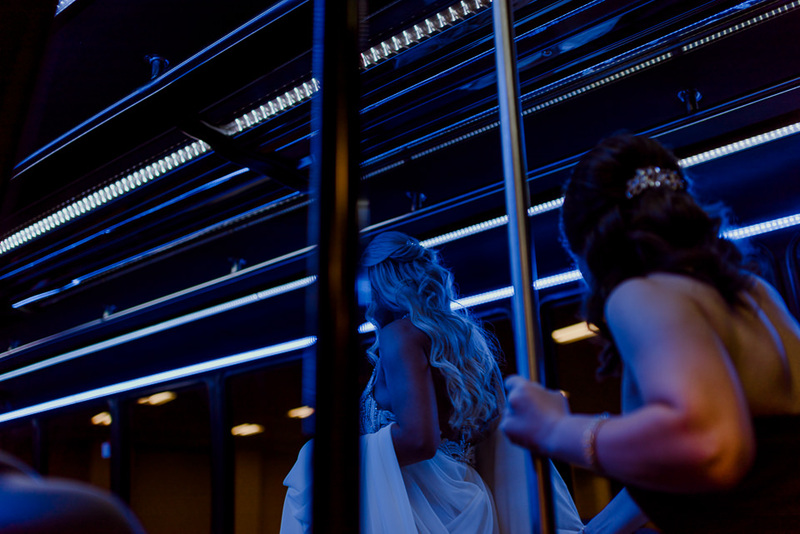 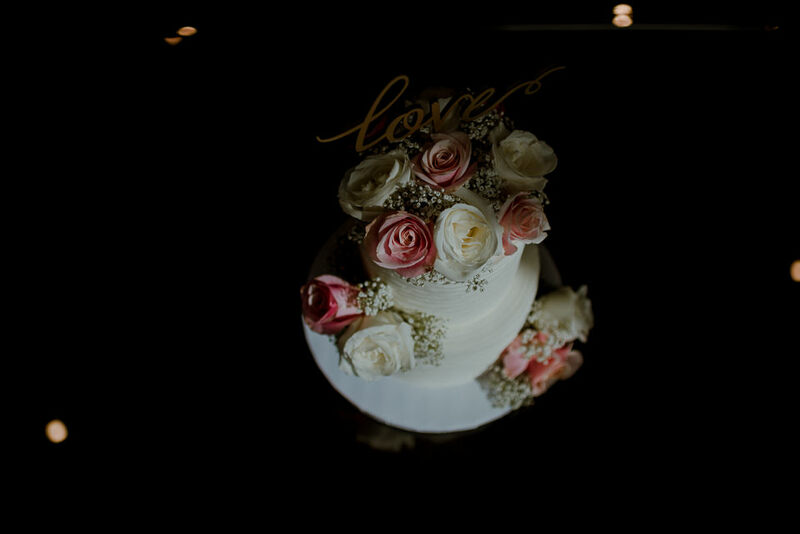 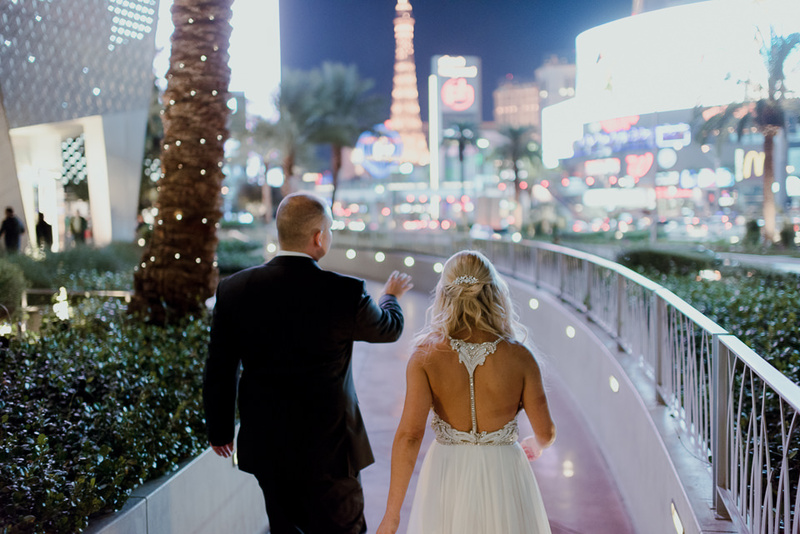 Las Vegas weddings have always intrigued me from an artistic standpoint due to the in-your-face vibe of the city. 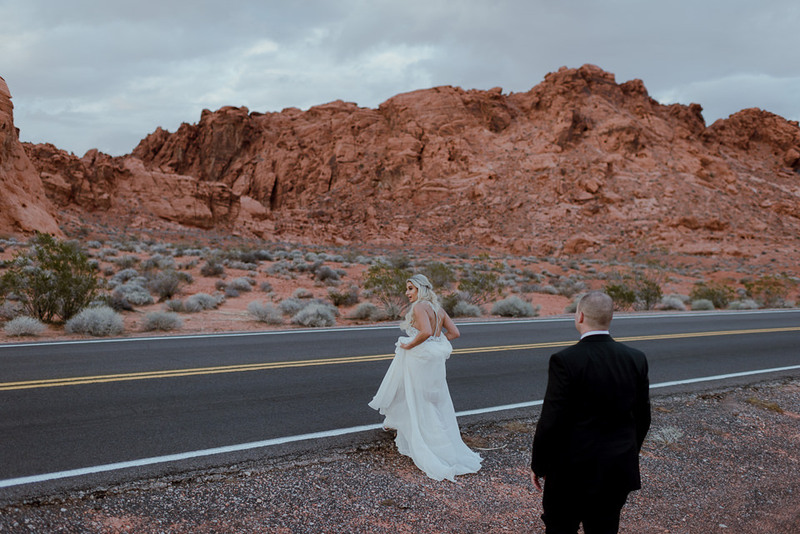 When we started to talk about their Vegas wedding plans, it sounded like this could be a unique chance to not only capture the city but also an incredible state park. 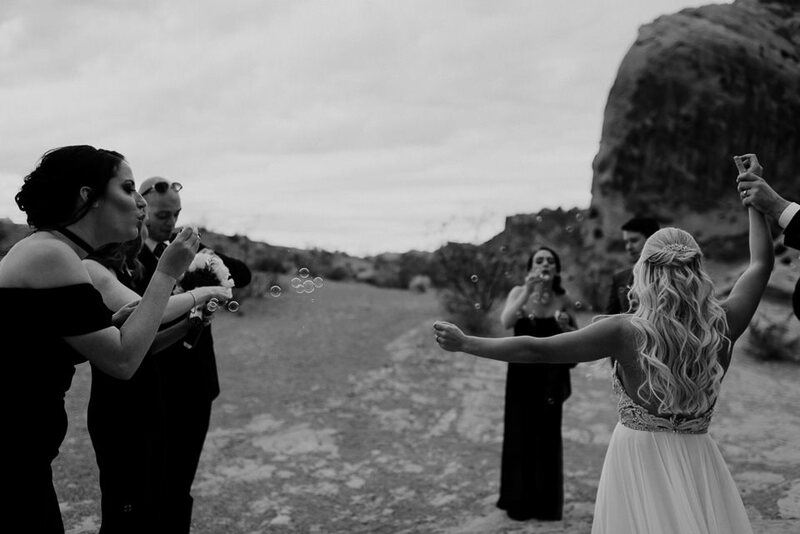 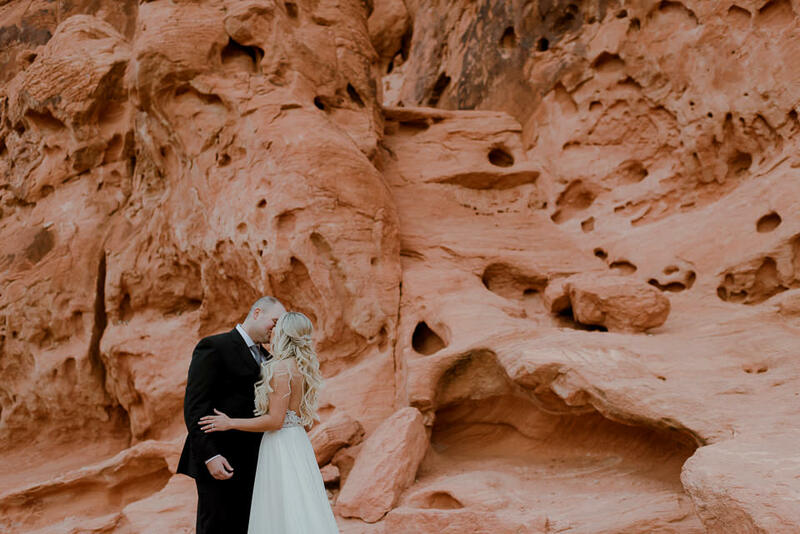 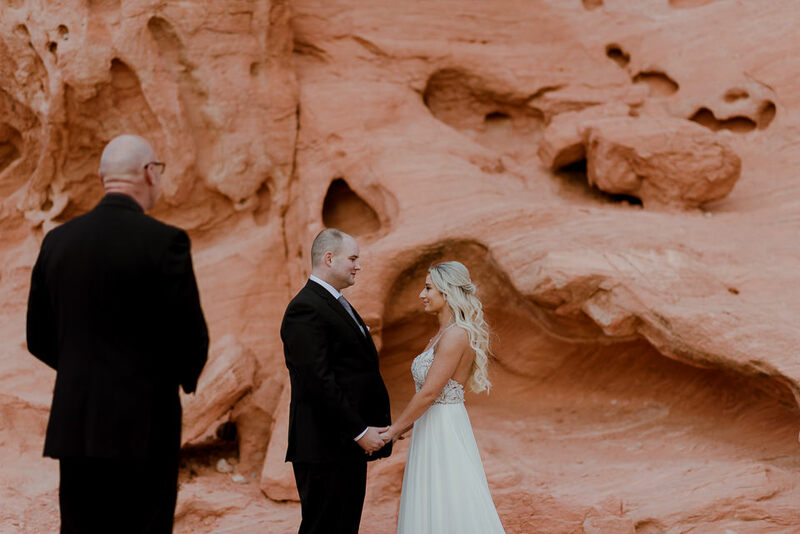 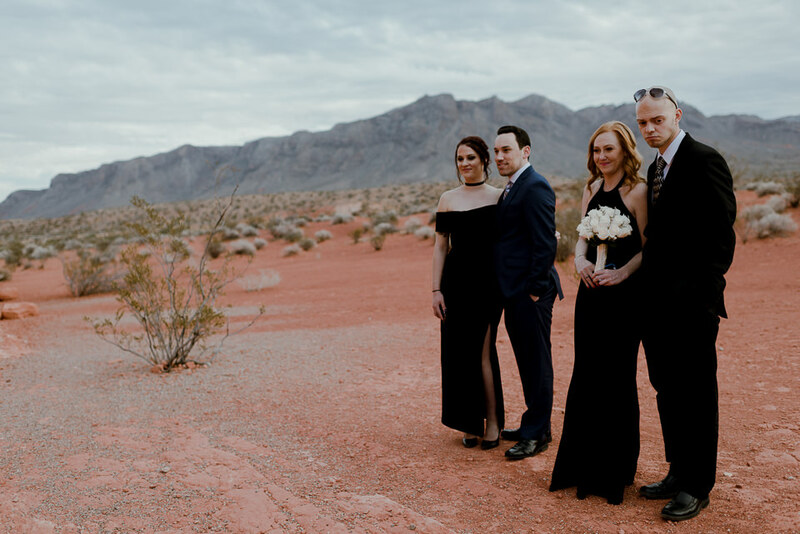 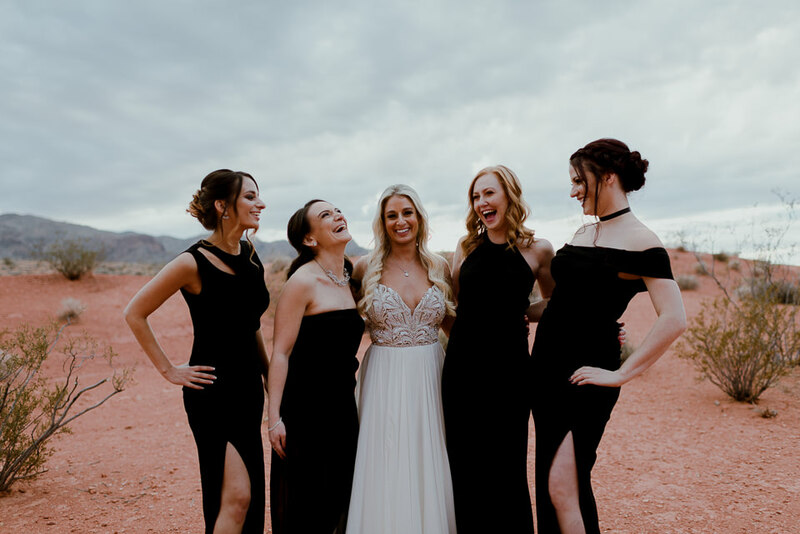 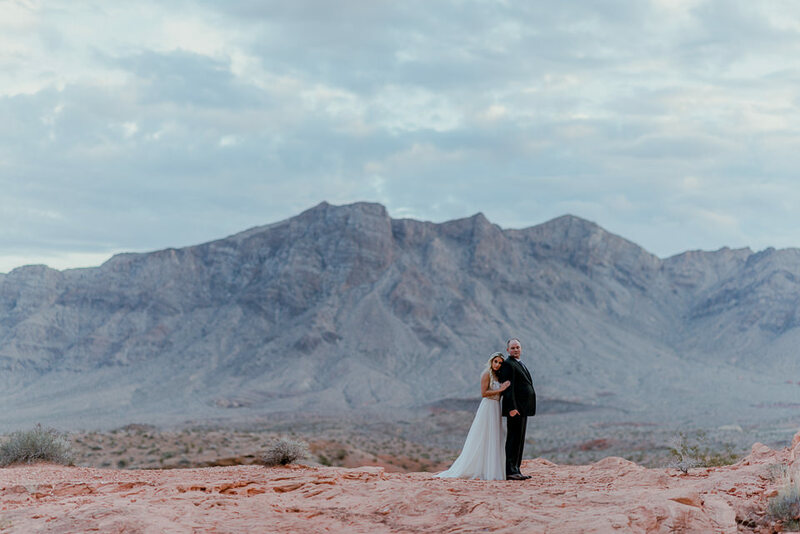 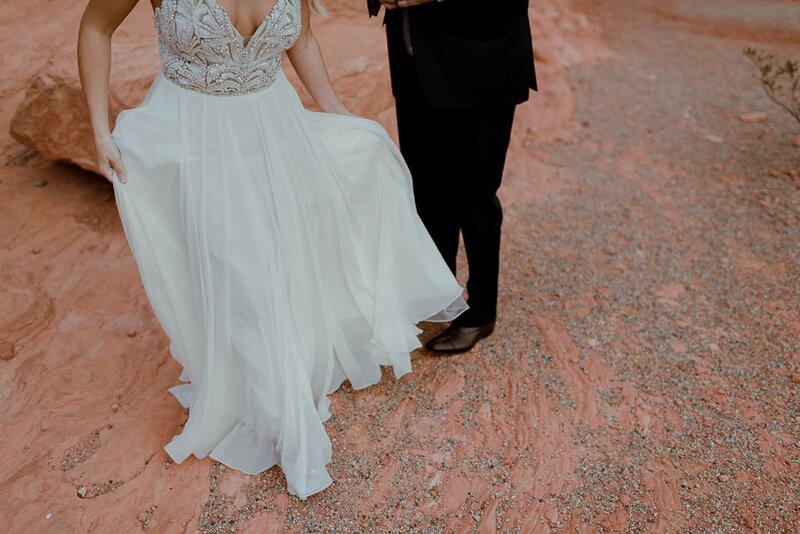 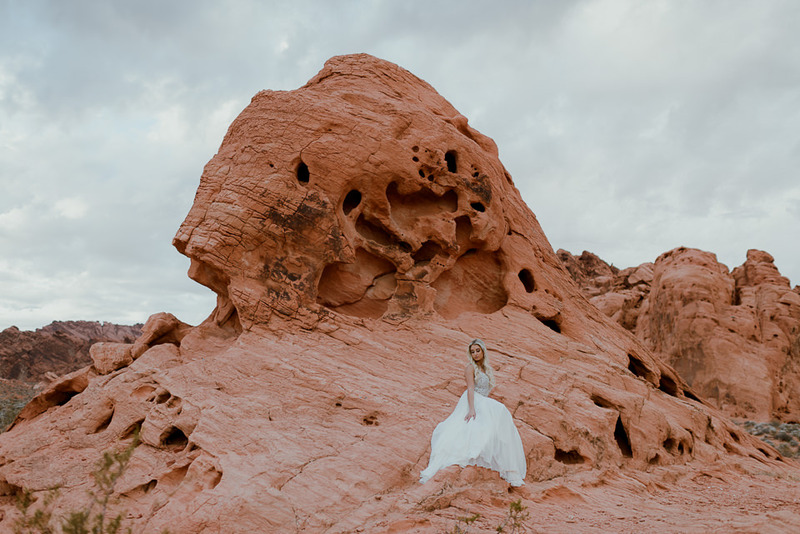 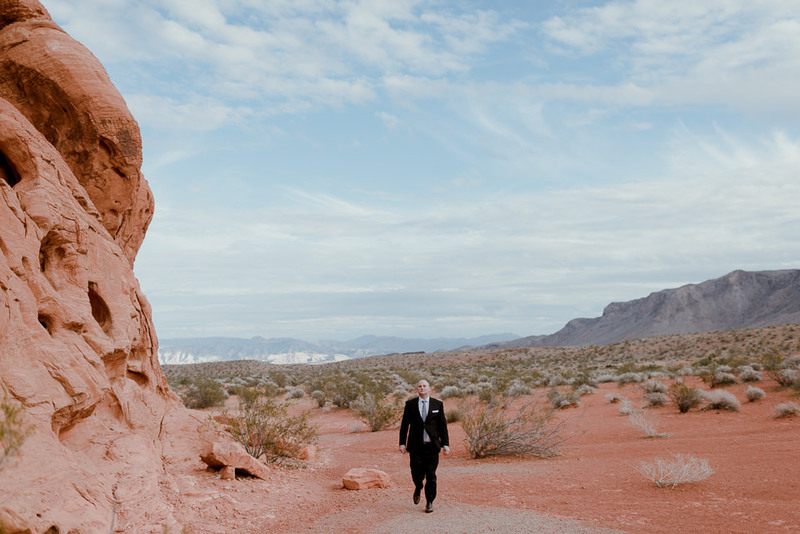 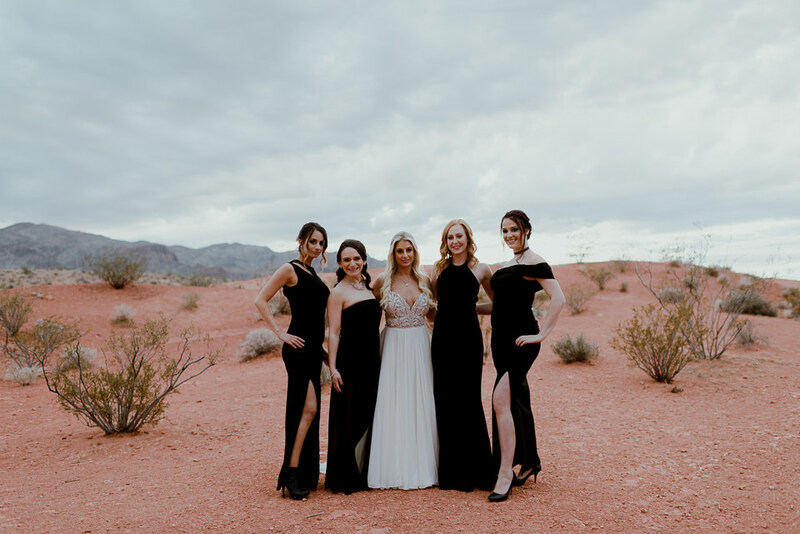 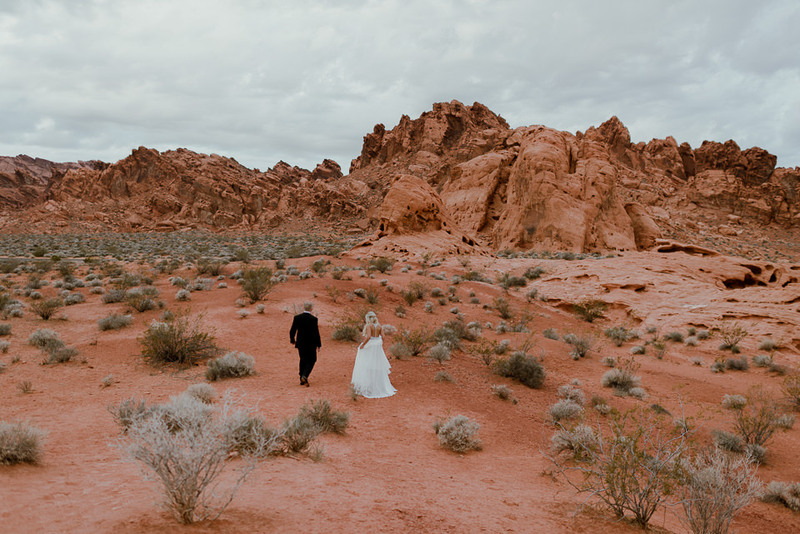 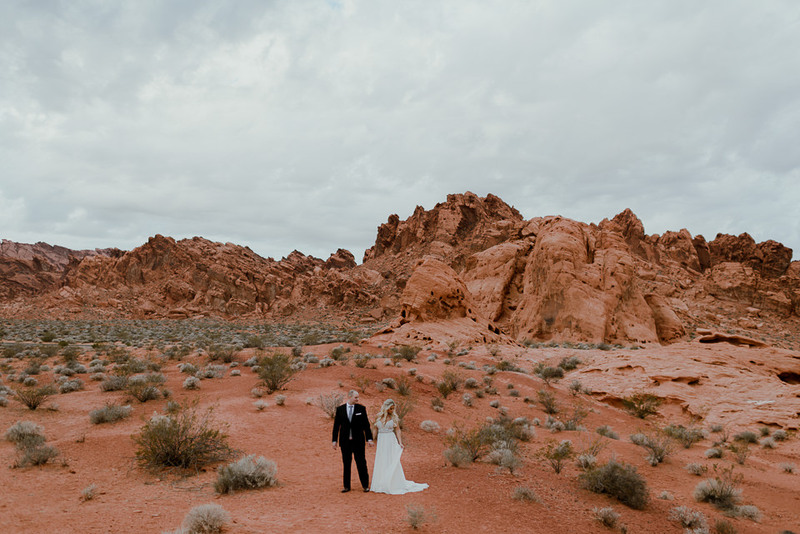 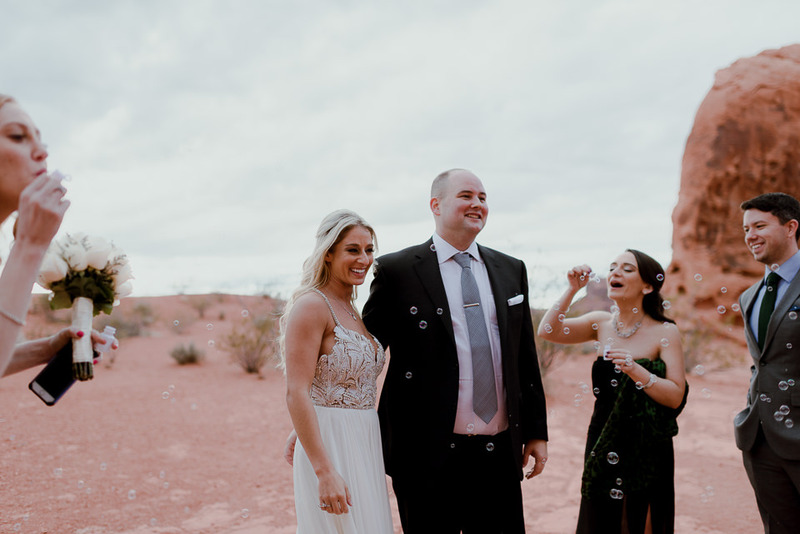 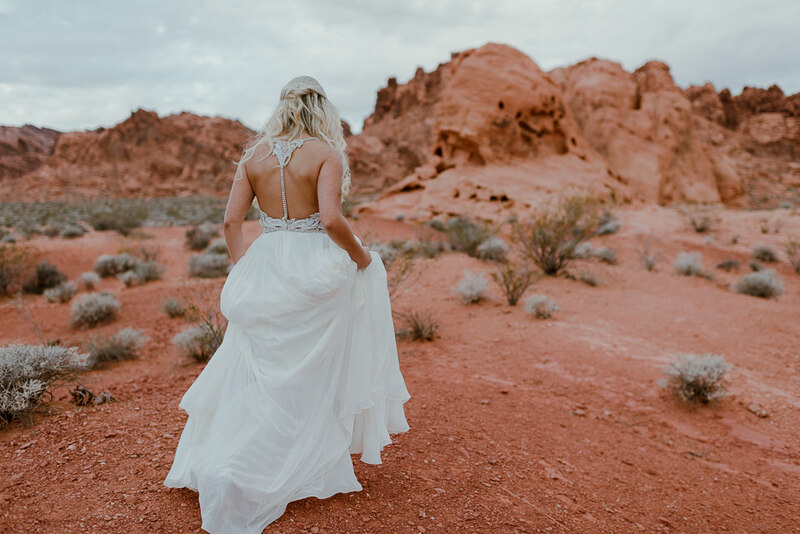 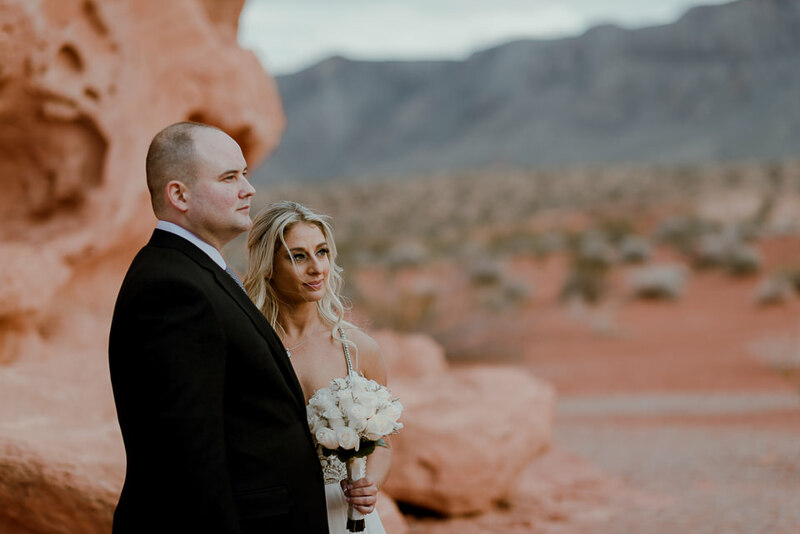 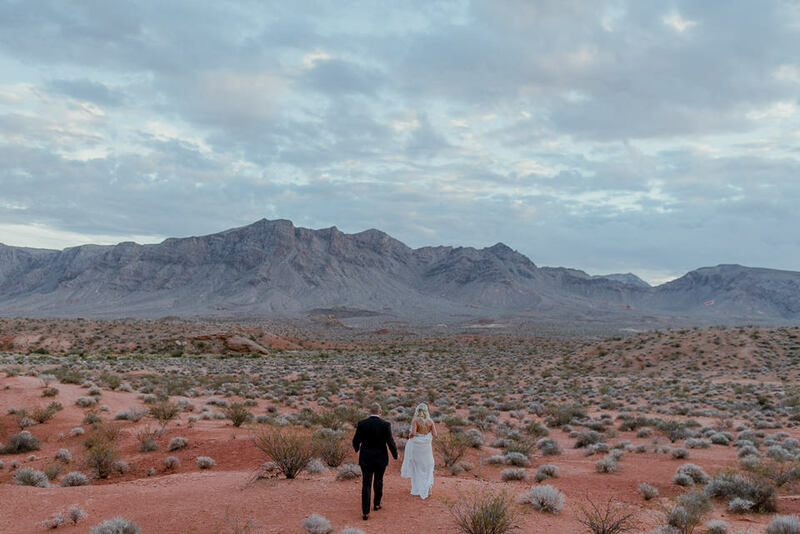 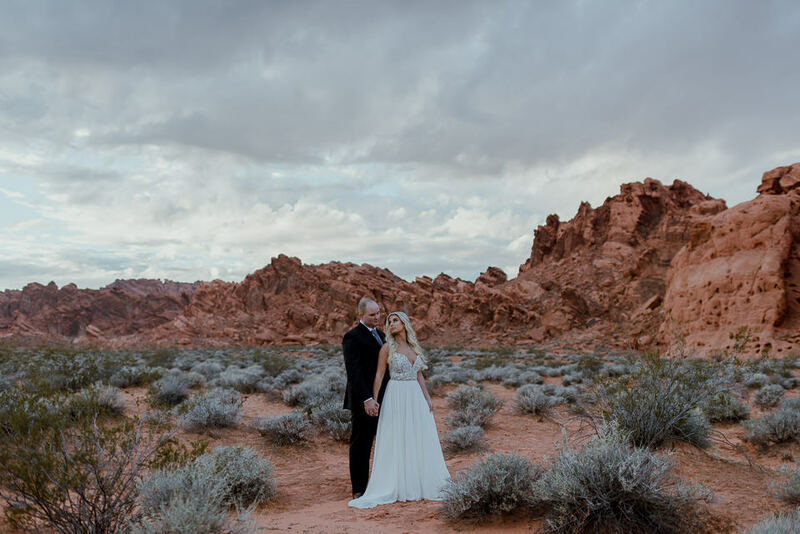 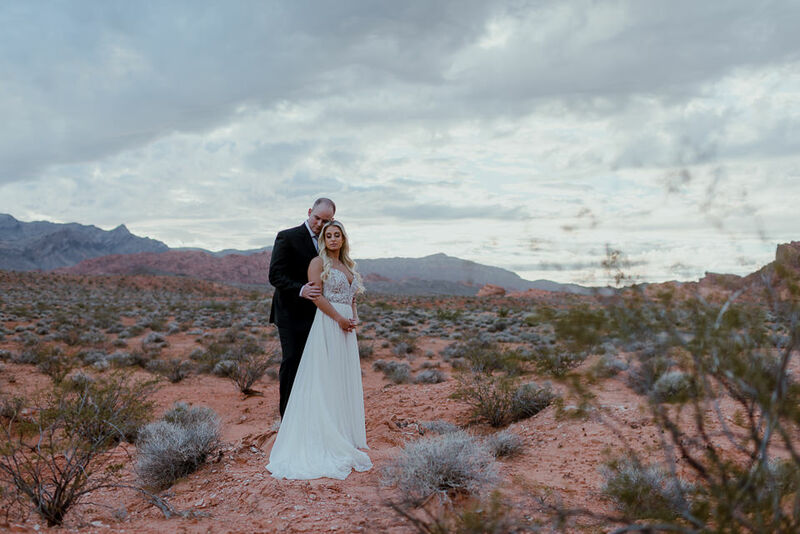 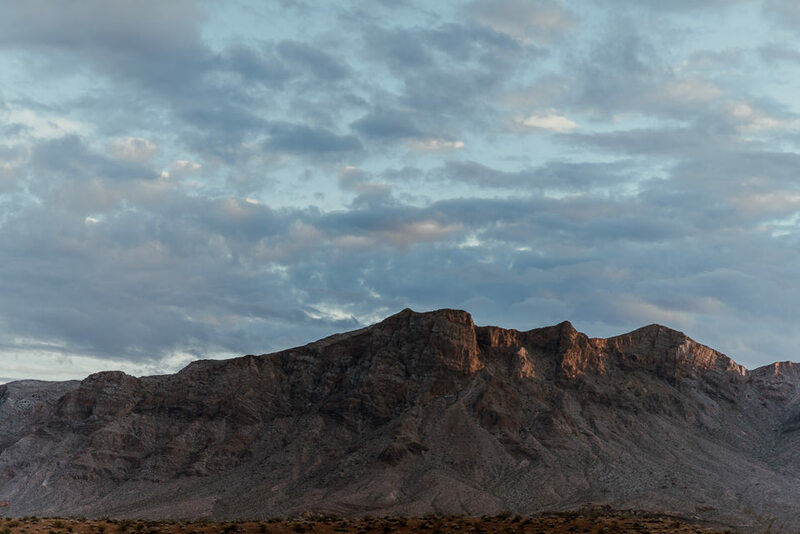 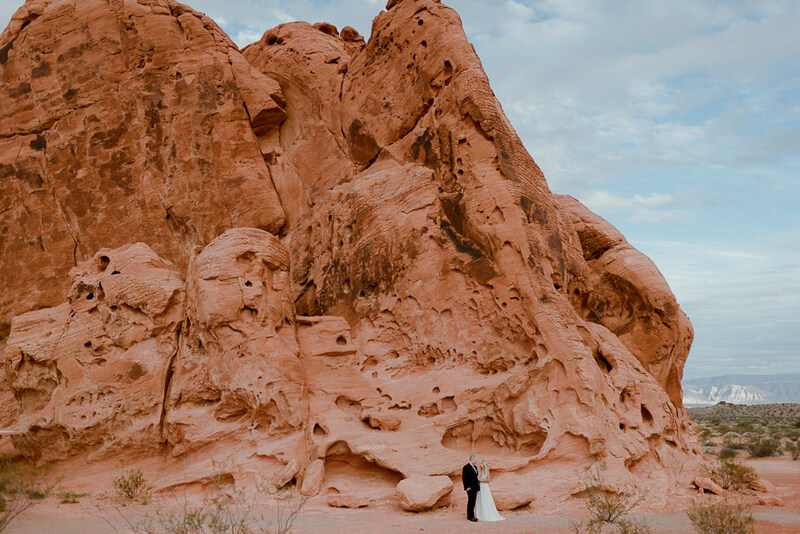 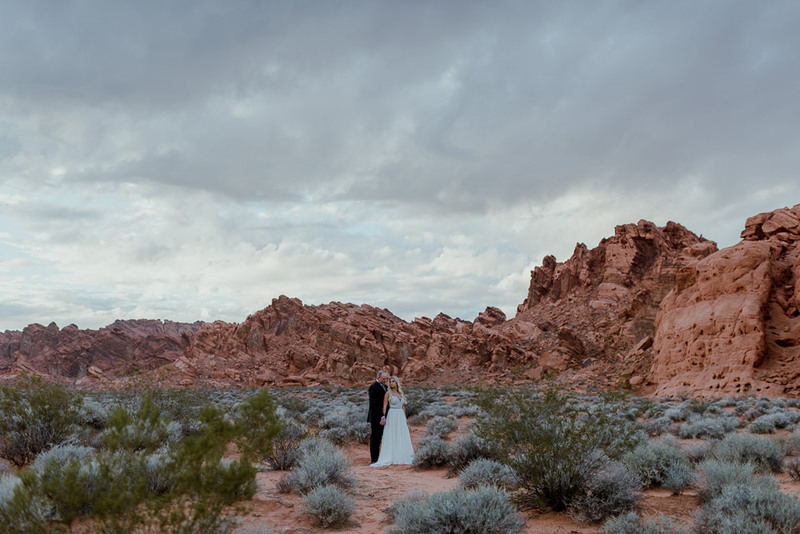 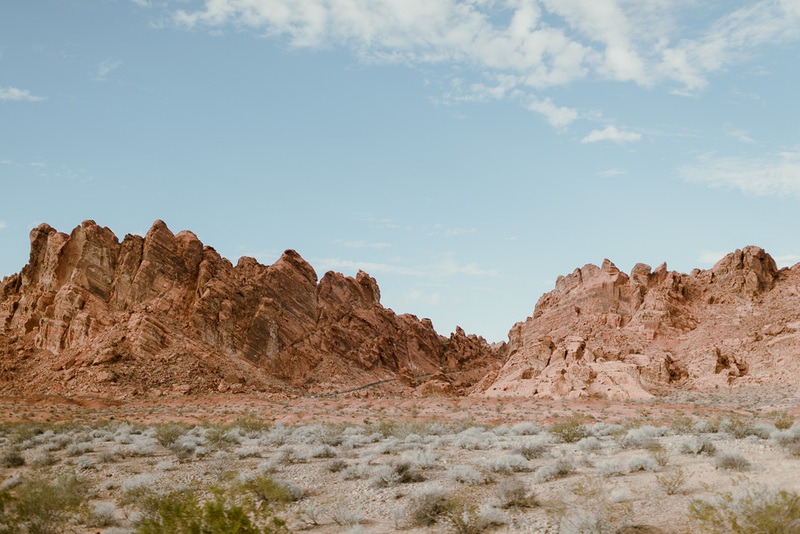 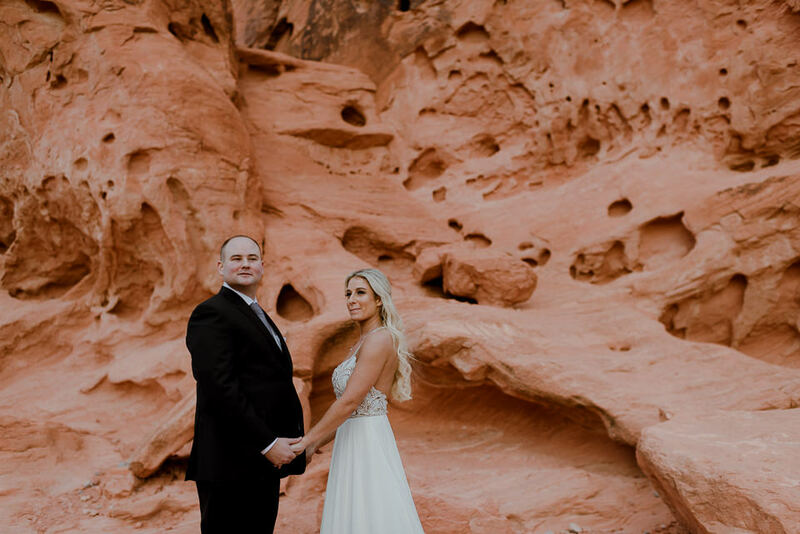 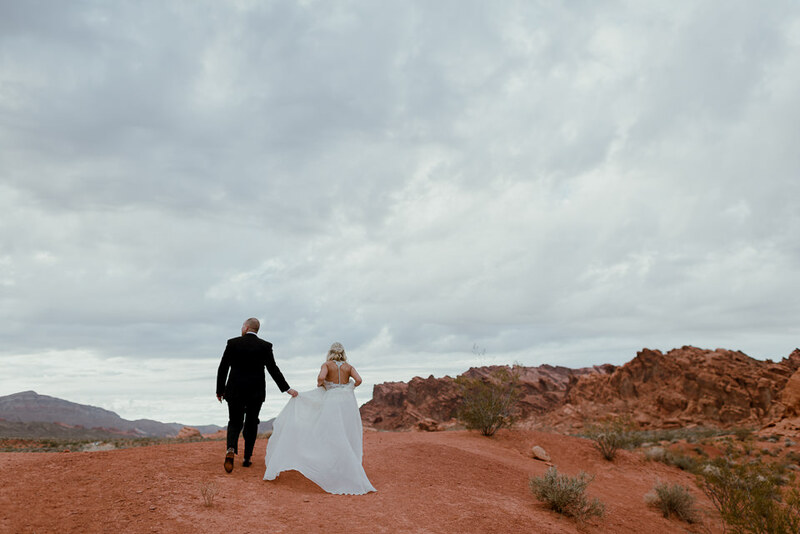 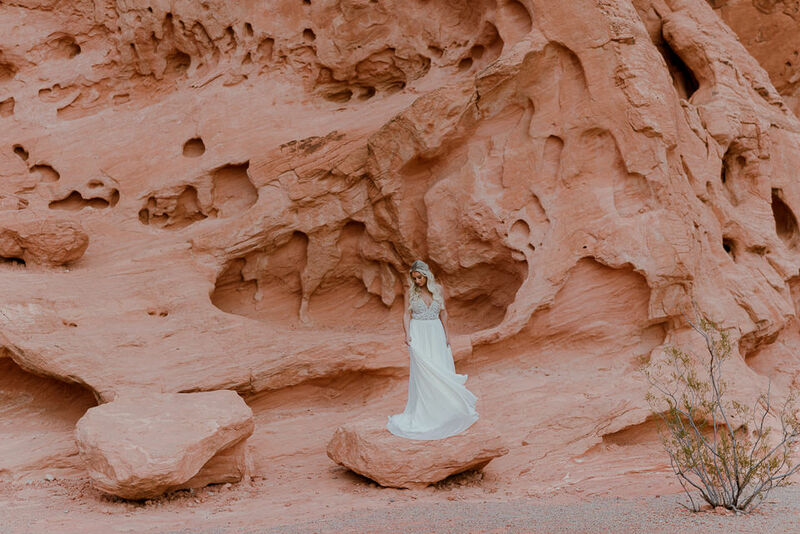 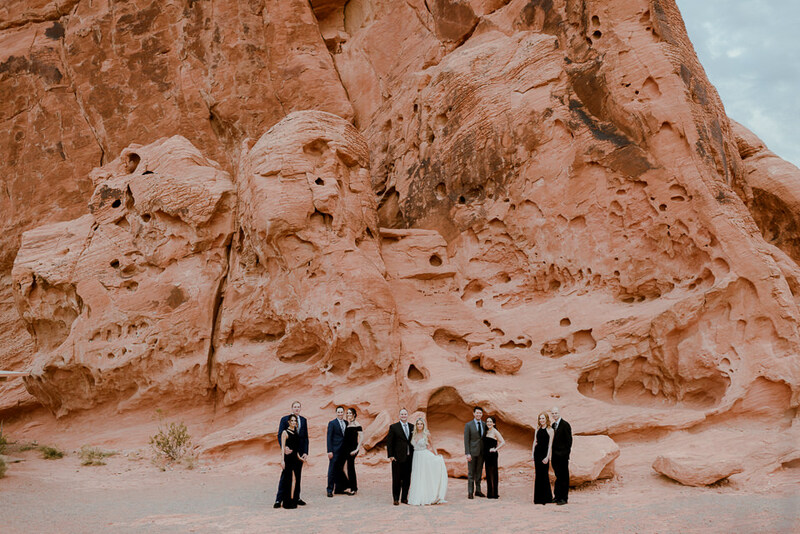 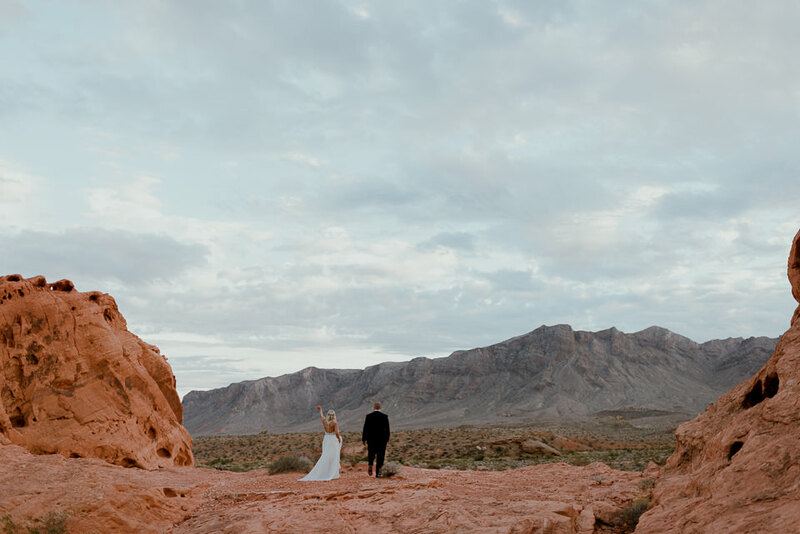 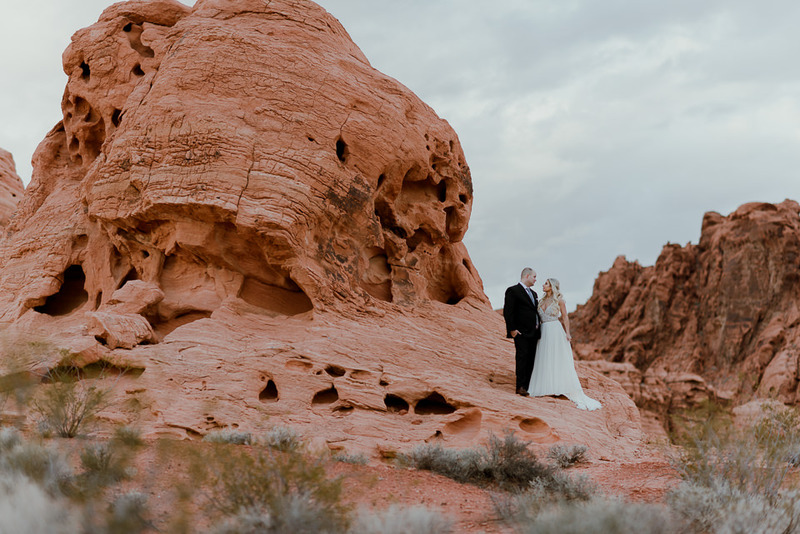 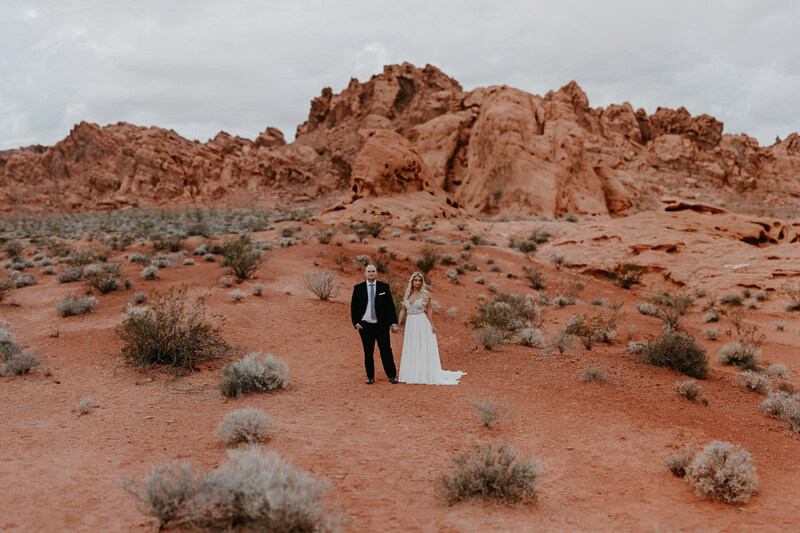 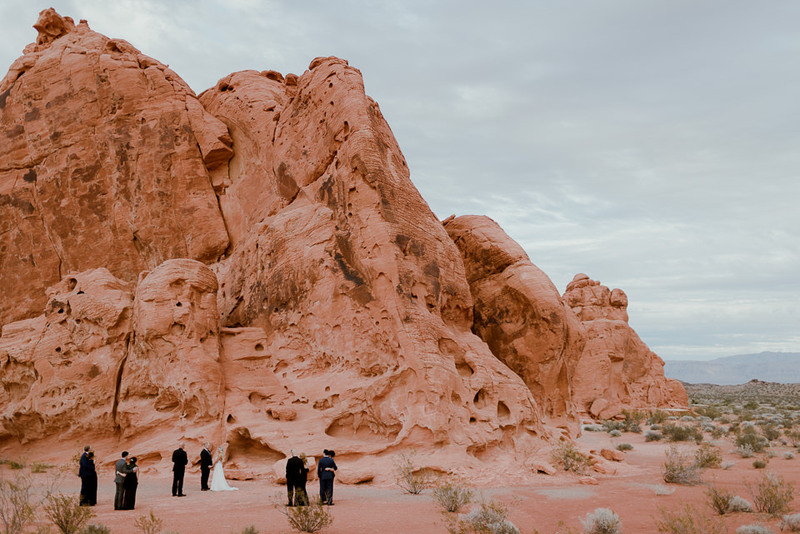 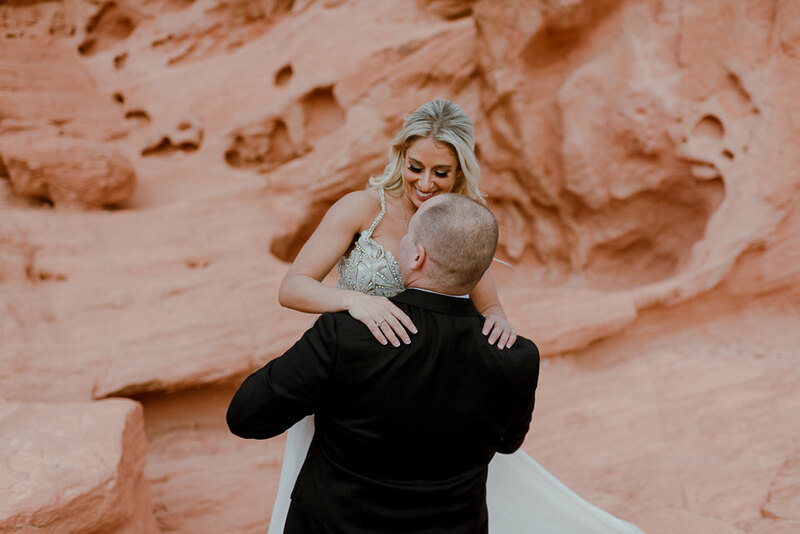 They tabbed Valley of Fire State Park for their Nevada wedding and as soon as I began looking into the location, I knew this would be a chance to create some pretty unique and special wedding photos. 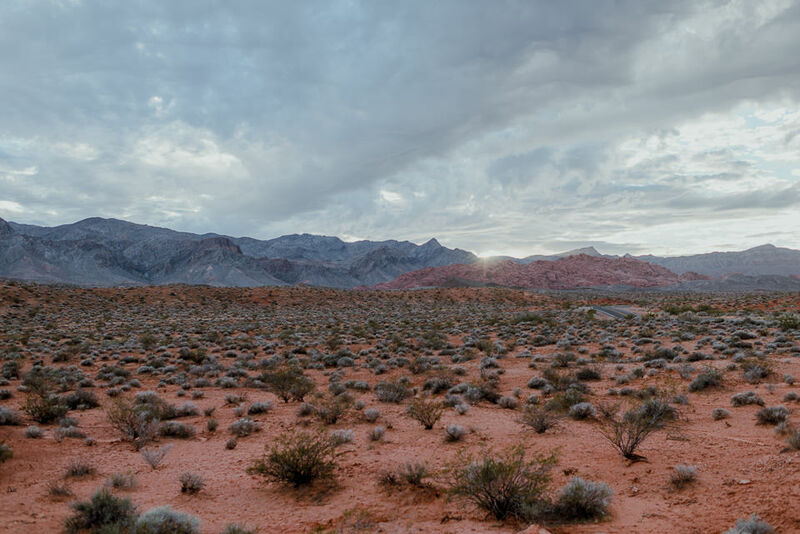 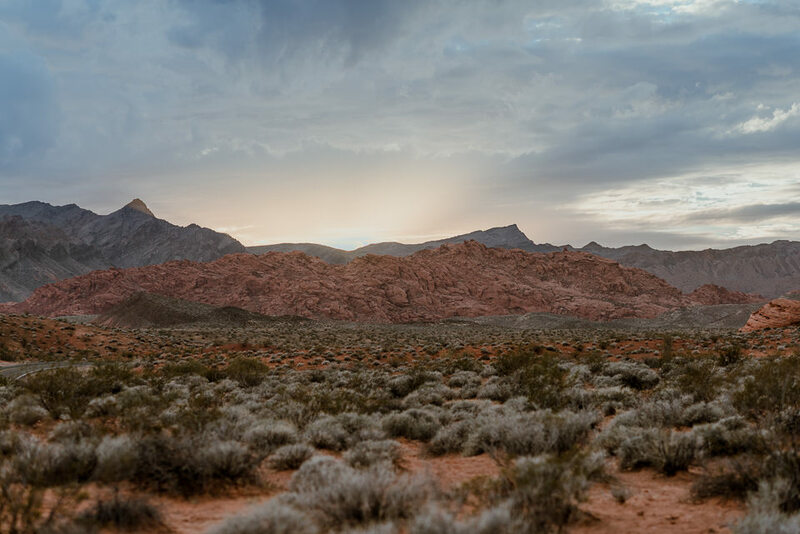 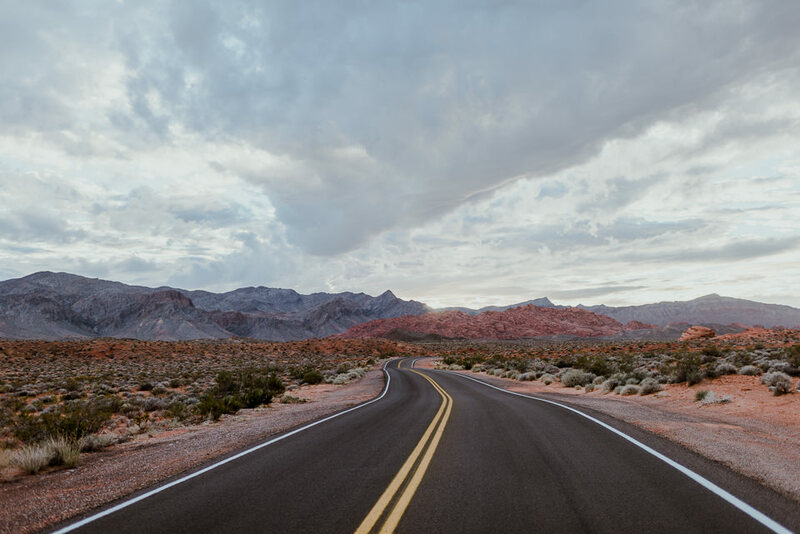 As soon as the bus from Vegas began entering Valley of Fire, my eyes absolutely lit up. 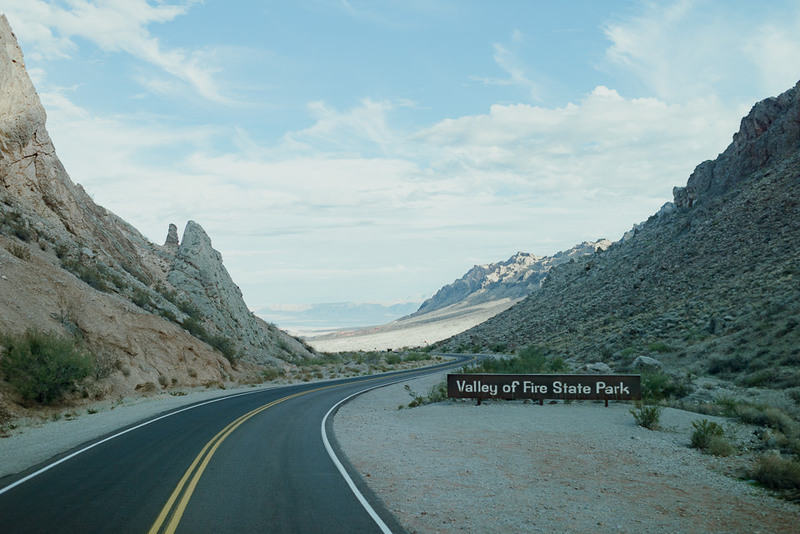 The deeper we drove into the park, the more excited I became knowing just where I’d be shooting. 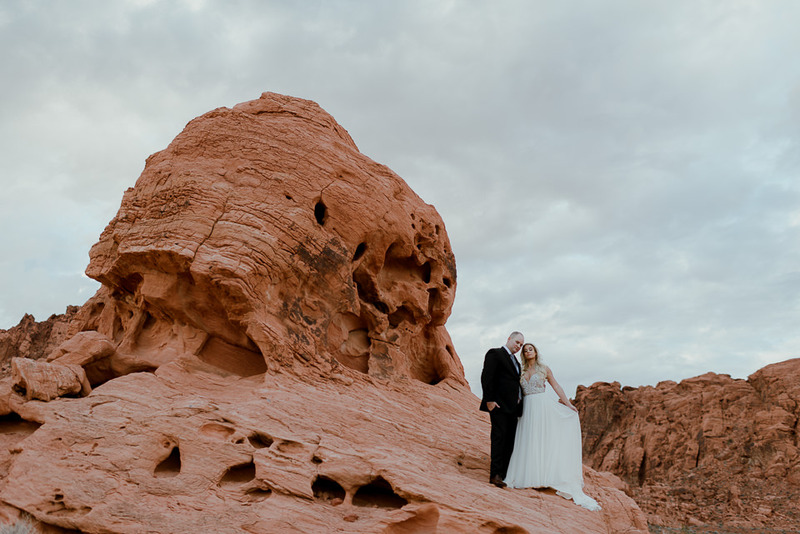 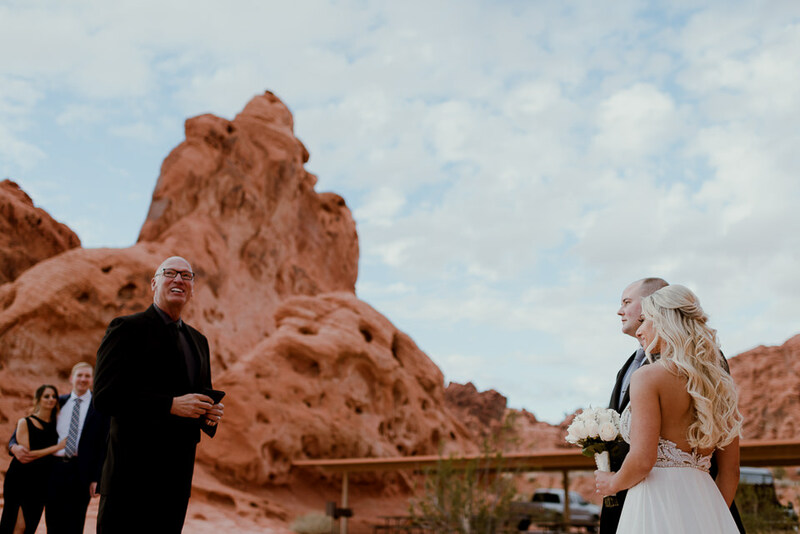 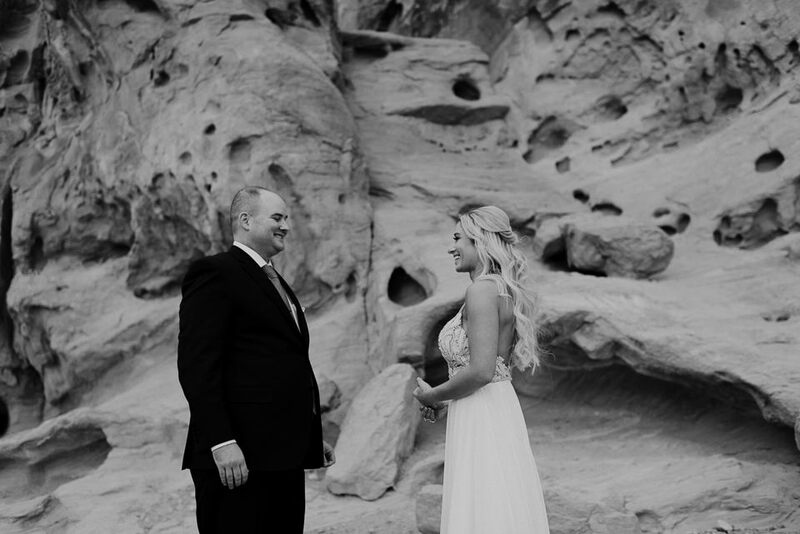 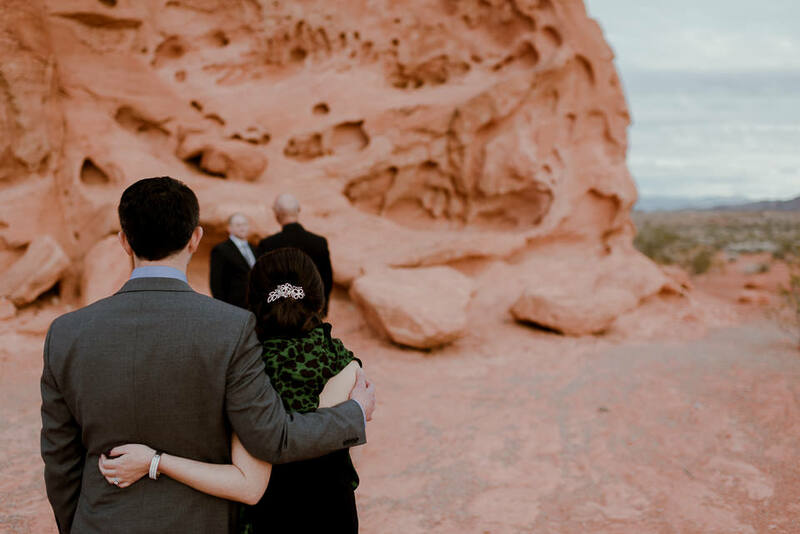 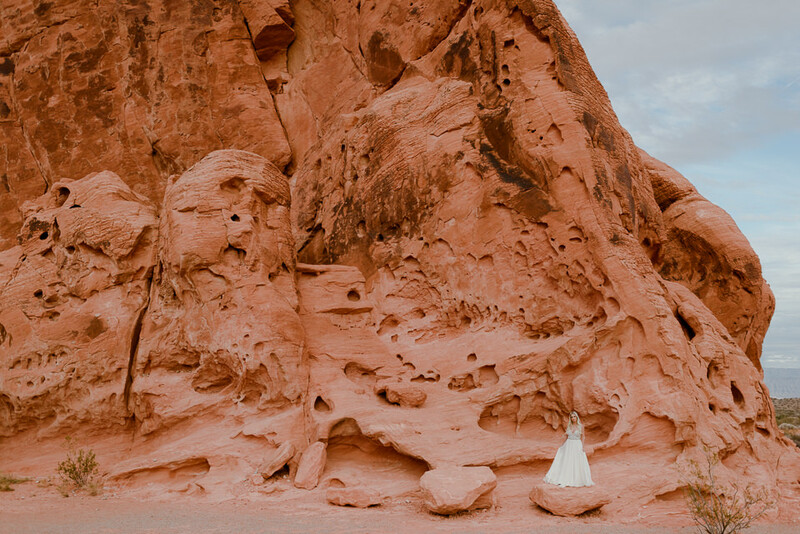 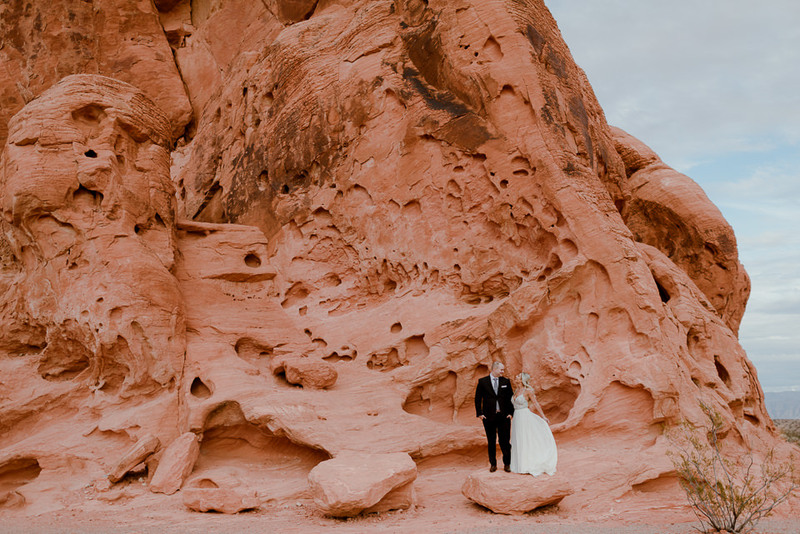 A Valley of Fire wedding is like doing a wedding photo shoot on the surface of the moon. 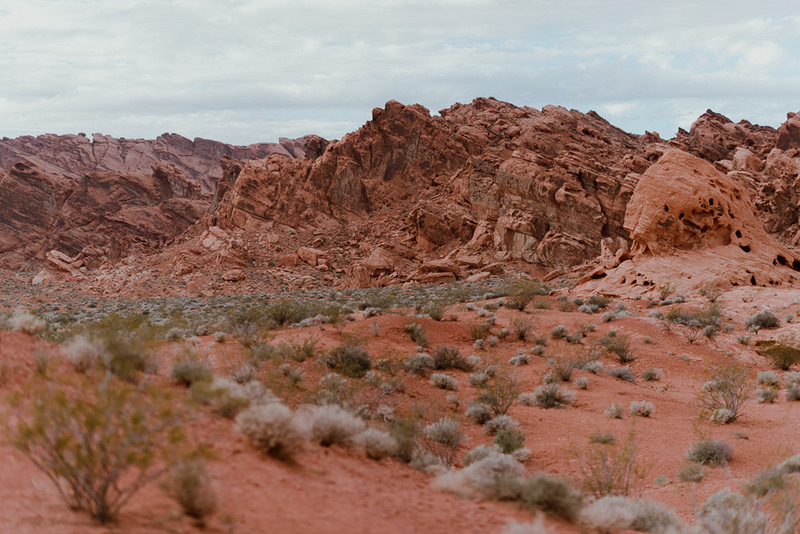 The landscape is like nothing I’ve ever seen before with my own eyes and instantly became a total theme park for photography. 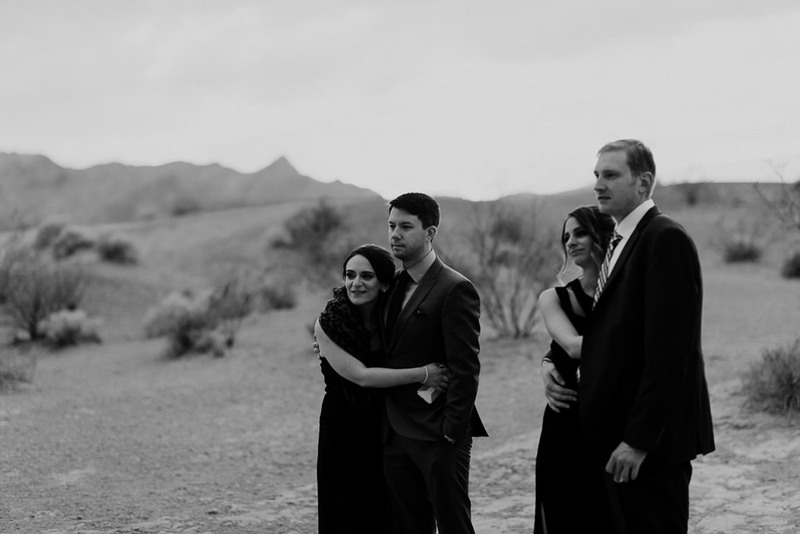 Every direction had something interesting. 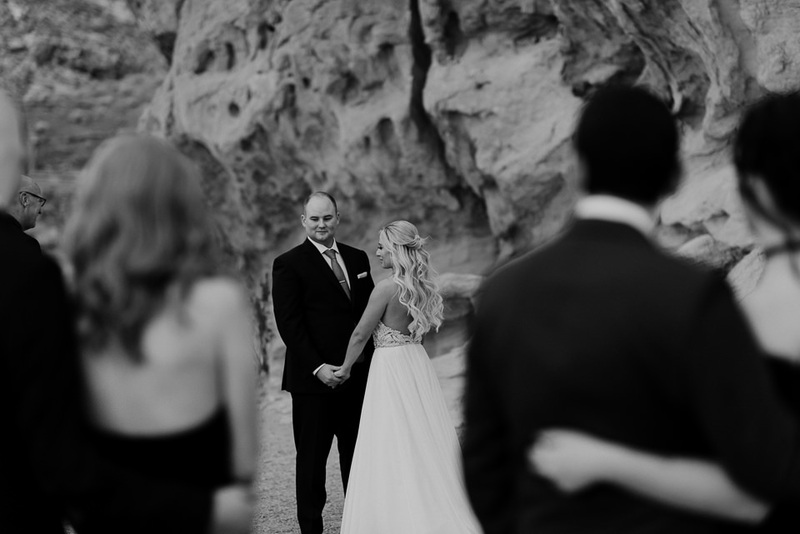 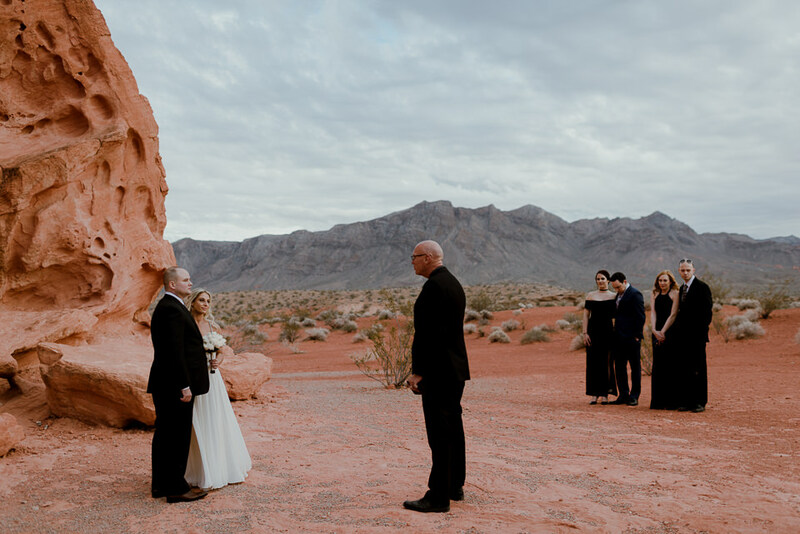 After scouting the area for a bit with Rae & John, they went with my advice to hold their wedding ceremony in front of an enormous rock structure. 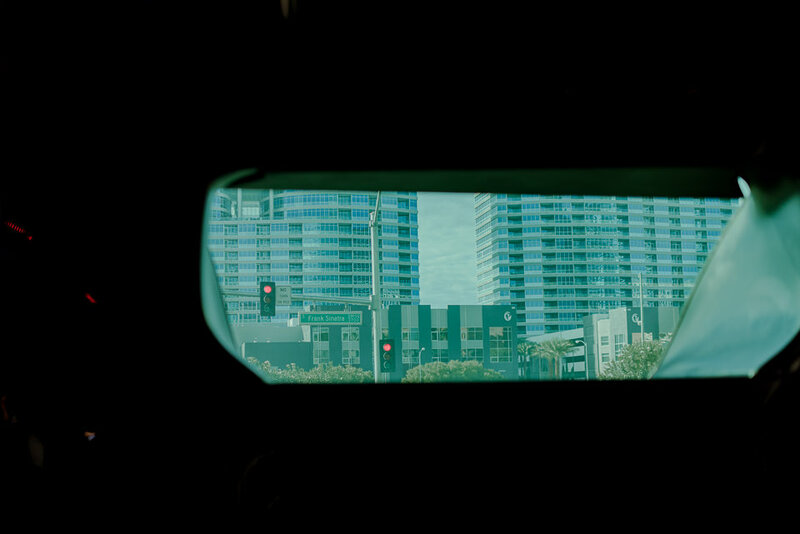 It played well. 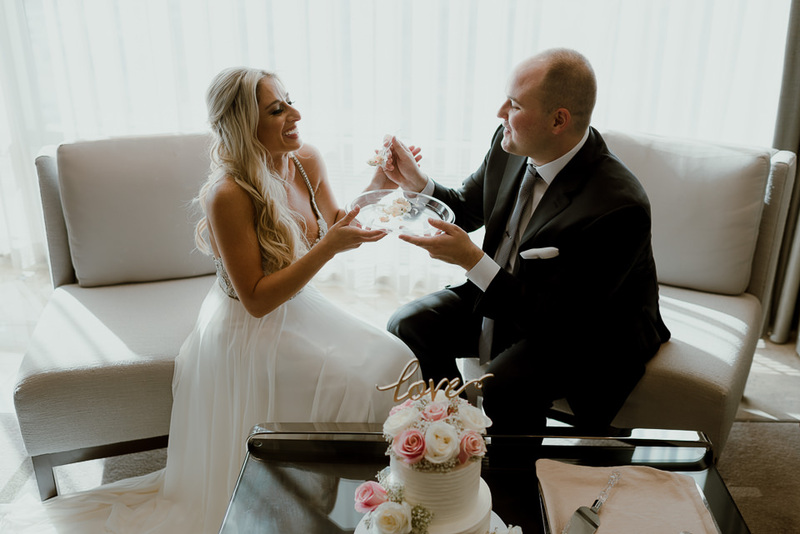 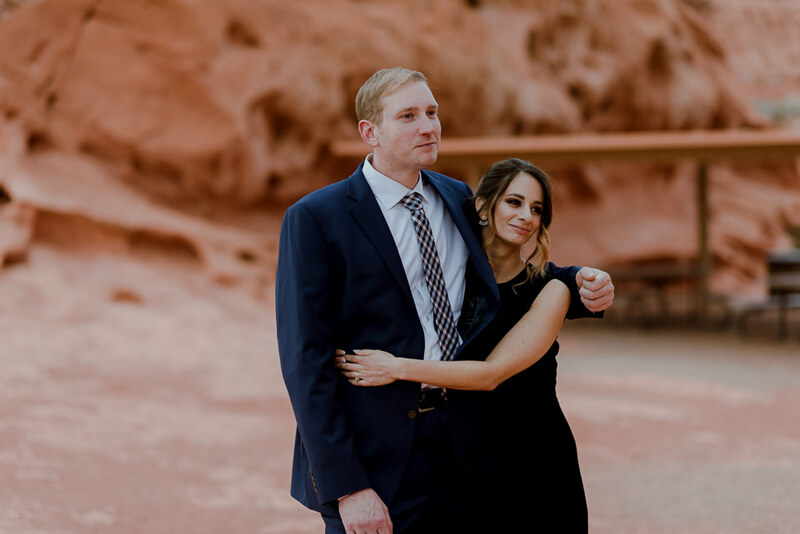 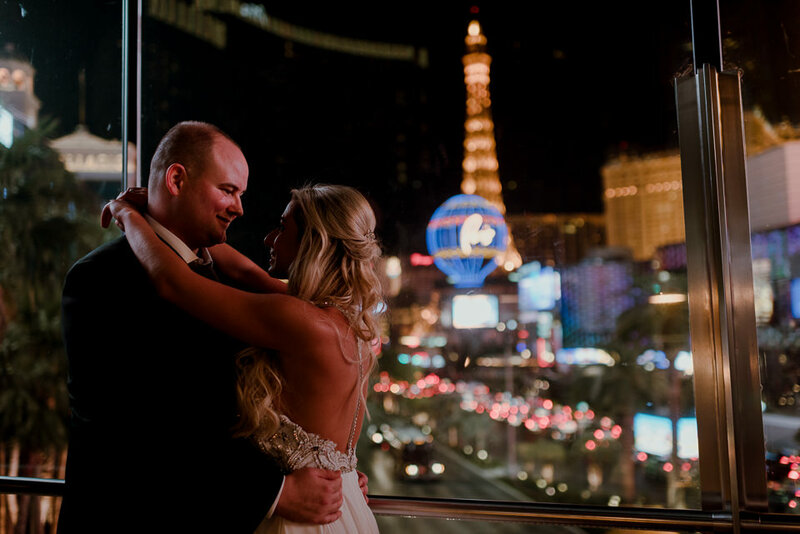 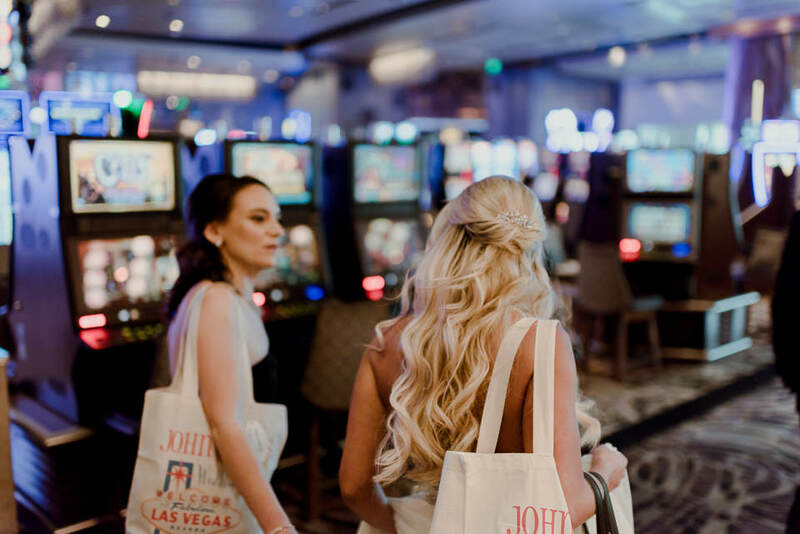 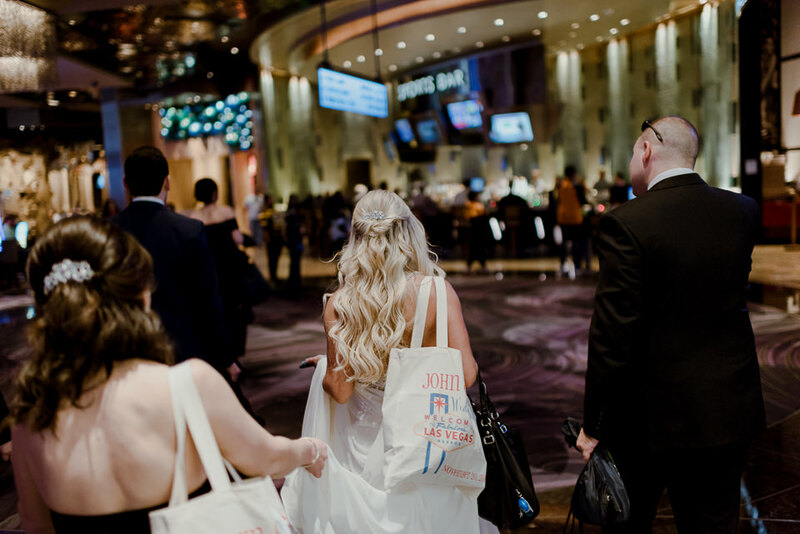 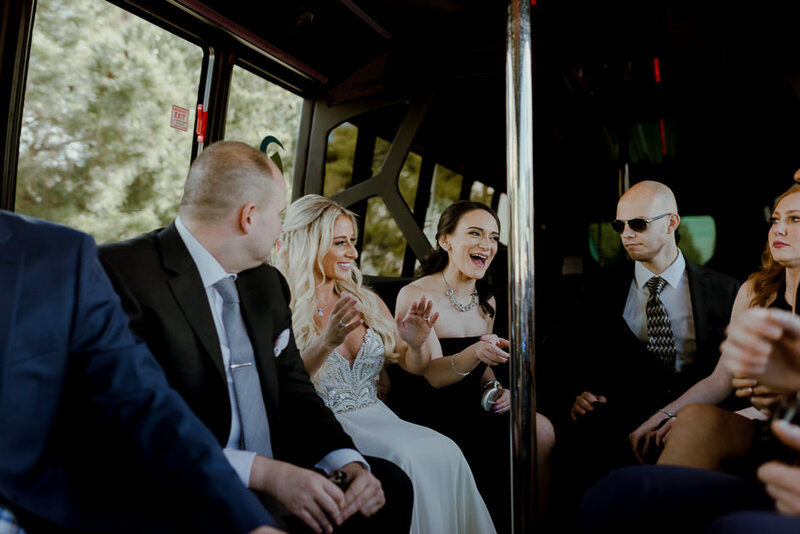 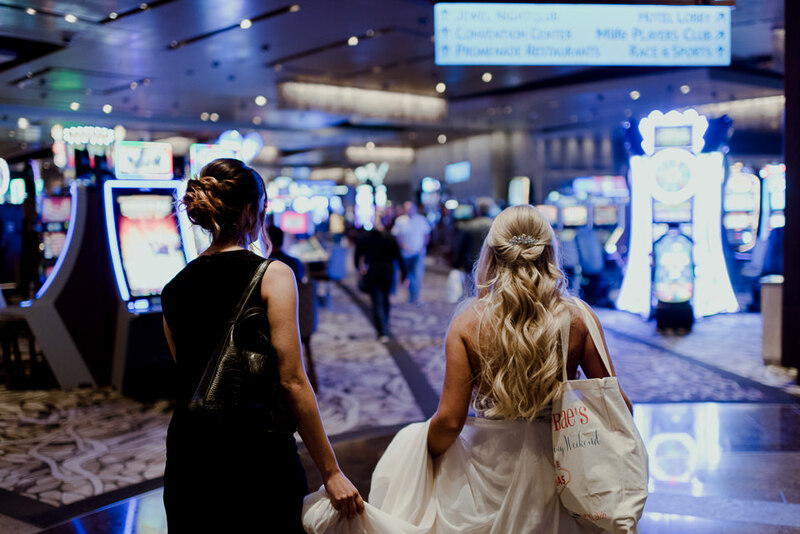 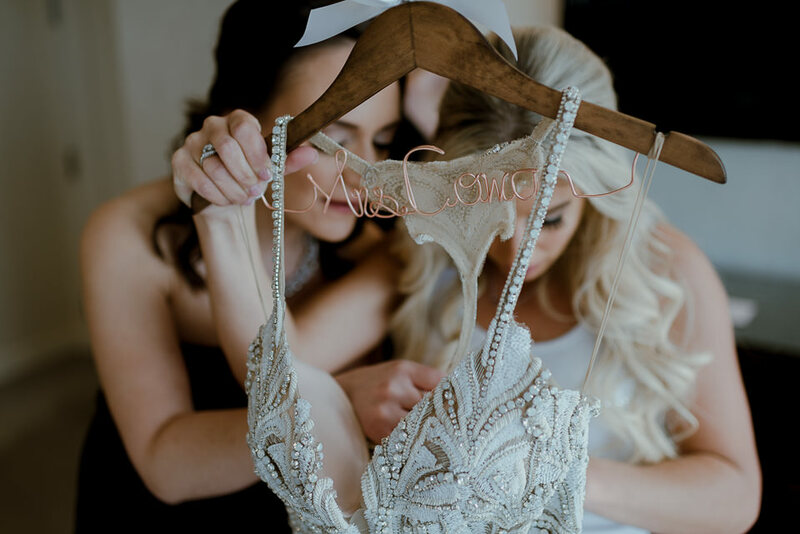 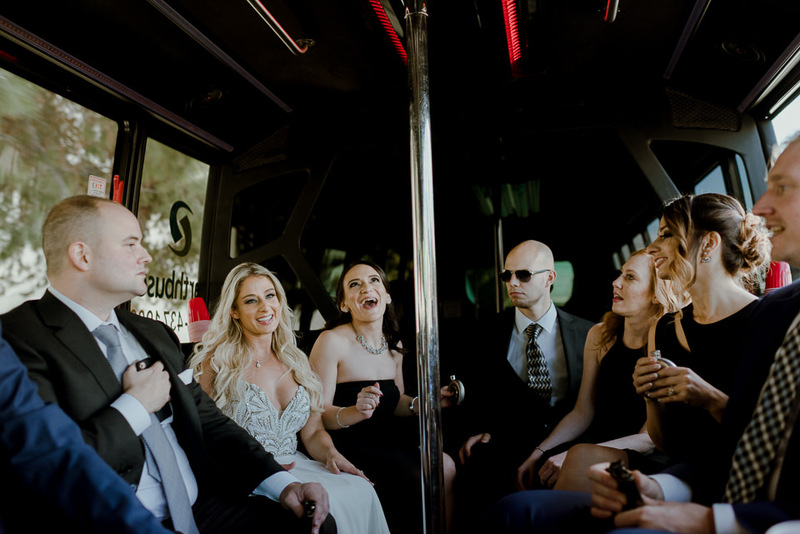 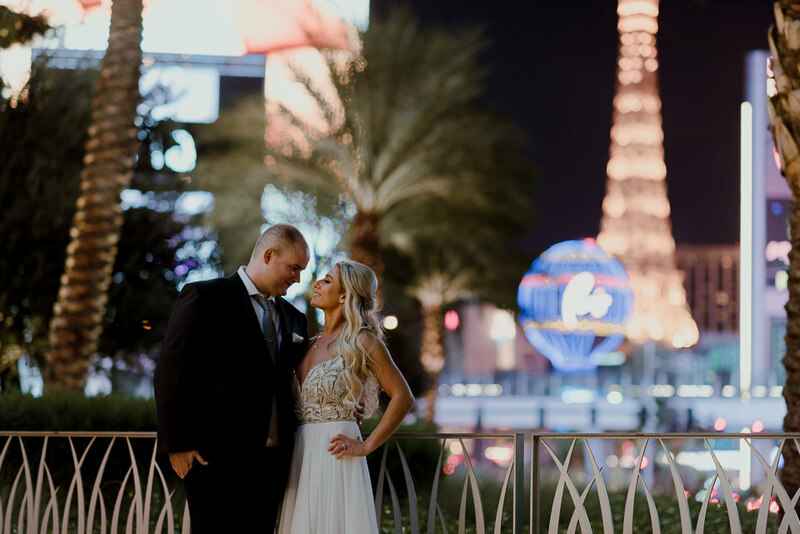 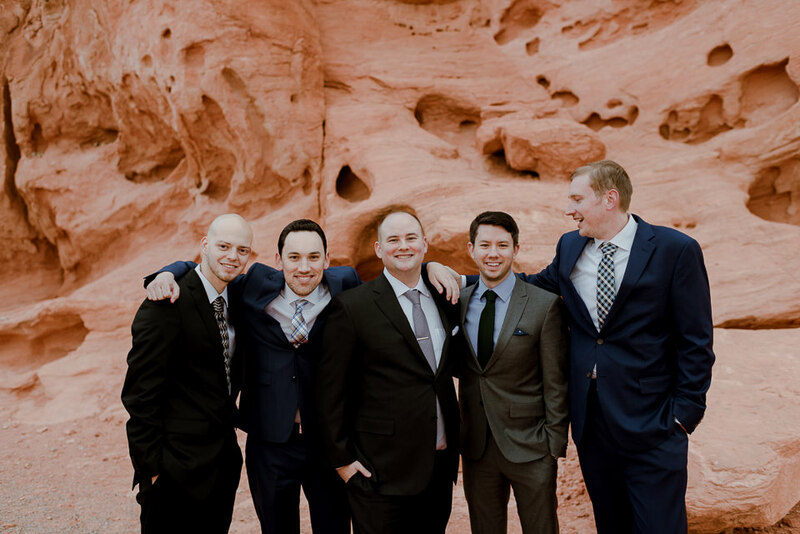 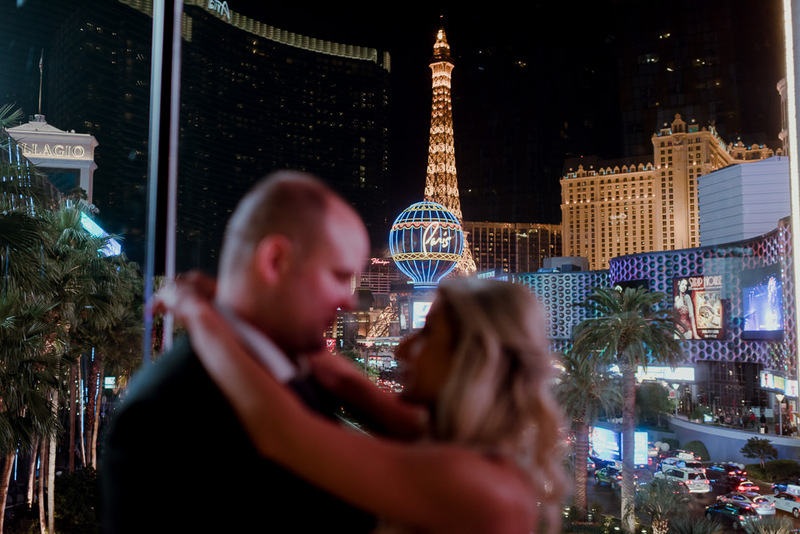 After adventuring around for a bit, their Vegas wedding package took us back to the city and we did some night wedding photos on the Las Vegas strip. 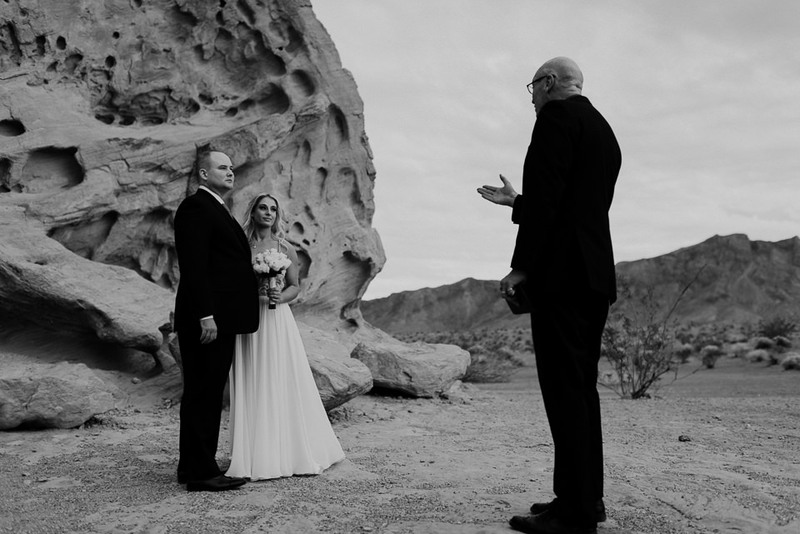 It was a perfect ending.